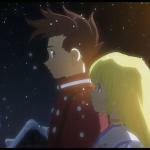 Tales Of Symphonia Coming To Steam Bandai Namco has confirmed the wide release of a new PC port for one of the most beloved games in their Tales series, Tales of Symphonia. Previously, the only way one could get this port was if they had already preordered the last new Tales game, Tales of Zestiria, back before it came out last year. A PC port of Symphonia was given out as a bonus to preorders, but as of next Groundhog Day, anybody will be able to get one. 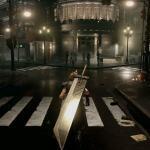 Will The Final Fantasy VII Remake Have An Open World Map? It’s one of the loudest questions fans are asking. 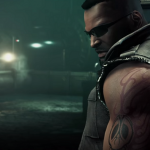 Now that we know the Final Fantasy VII Remake will be divided into chapters, are we still getting that beautiful open world to explore upon escaping Midgar, or will it be disappointingly changed into a series of linear paths? 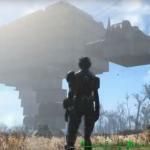 Someone Built A Giant AT-AT In Fallout 4 You know what time it is. ‘Tis the season to be oversaturated in Star Wars junk. YouTuber Ops-Specialist has created this seasonally appropriate giant Star Wars AT-AT from the Battle of Hoth, using the settlement tools in Fallout 4. 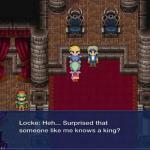 Final Fantasy 6 Is Coming To Steam, But It’s The Mobile Version You’ll finally be able to play an official version of Final Fantasy VI on your PC in a few days, thanks to Steam, but it may not be the version you wanted. Square has chosen to port its mobile version of the 1994 classic, which will be rejiggered to respond to keyboard and mouse. 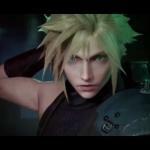 More Information On Square’s Final Fantasy VII Remake Thanks to the latest issue of Famitsu Weekly, we now have more detailed information about Square-Enix’s upcoming Final Fantasy VII remake on the PS4 (or the PS5 depending on how long it takes). The most crucial piece of information was the clarification on that sentence from the press release that got every fan with an Internet connection howling with rage — the statement that suggested this game would be released in chapters, not all at once. 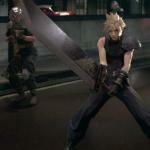 The Final Fantasy VII Remake Could Be Released In Pieces Square-Enix sent out its press release for the Final Fantasy VII remake last night, and one little sentence from that release has lit up the Internet. Specifically, the bolded part below from the third sentence. 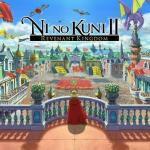 Ni No Kuni 2 Announced At Playstation Experience Ni No Kuni: Wrath of the White Witch was released in 2013 for the Playstation 3 and became a sleeper hit due to its throwback RPG gameplay, its refreshingly light storyline and its gorgeous graphical style, helped in part by Studio Ghibli handling the cutscenes. Today during the Playstation Experience keynote, Sony was pleased to announce Ni No Kuni 2. 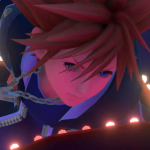 New Final Fantasy VII Remake Trailer Appears At Playstation Experience Today during the Playstation Experience keynote address, a brand-new trailer for Square-Enix’s Final Fantasy VII trailer was unveiled. 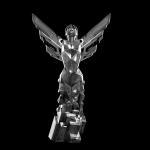 The Witcher 3 Wins Game Of The Year At 2015 Game Awards The Witcher 3: Wild Hunt has won the title Game of the Year at the 2015 Game Awards against stiff competition. It was up against Bloodborne, Fallout 4, Metal Gear Solid V: The Phantom Pain and Super Mario Maker. Whether you think it’s better or worse than any of those is your own personal opinion, but as of today, The Witcher 3 gets to put a little sticker on its retail box that says ‘GAME OF THE YEAR 2015,” as well as release a garish, ugly Game of the Year reissue box in 2016.